My patients’ overall oral health is my priority. While I love all aspects of general dentistry, I have a special interest in treating obstructive sleep apnea, Orthodontia, and restorative dentistry, including dental implants. I’m committed to lifelong education to ensure my patients receive the highest level of care. I’ve taken numerous postgraduate education courses on advanced restorative dentistry, including an intensive dental implant program, and the medical model of collaborating with sleep physicians in treating obstructive sleep apnea. On a more cosmetic note, I have training in porcelain veneers and invisible braces, allowing me to offer my patients a noninvasive way to straighten and beautify their teeth. As an active member of my community, I am fortunate to be able to volunteer my time and services to the Donated Dental Services Program and the Minnesota Dental Association’s Mission of Mercy. I’m very active with the St. Paul District of the Minnesota Dental Association (past president) and in 2003 was honored with the statewide Dentist Leadership Award. Dr. Bill is very kind and intentional in his interactions with me as a patient. I really appreciate his willingness to take the time to communicate clearly and care. Dr. Bill, as he introduced himself, was extremely caring and thoughtful, even staying quite a while to discuss my recurrent canker sores including options for toothpaste and treatment should another come up. I was very satisfied. It was a pretty routine and brief appointment. I didn't have any concerns, so the discussion wasn't too involved. No treatments recommended at this time. Dr. Harrison has always been very good about explaining treatment options in the past. Routine appointment -- cleaning and xrays. Discussed previous procedure briefly. I appreciate Dr Harrison 's professionalism and lack of attitude. Dr. Harrison is my favorite all-time dentist. If he ever leaves practice, I will be at a great loss. Dr. was friendly but saw him for about 5 minutes. Dr William Harrison is fantastic and his entire staff; everyone! I had not seen a dentist in years due to fear and the entire staff was efficient and understanding. Because of their excellent understanding and proper care I feel confident to return to them and get back on the right path of visits to the dentist! The dentist went above and beyond my expectations. The doctor was very friendly and personable. I know he was right in the middle of something else because the schedule was off (due to previously mentioned issues), but he didn't rush or act like my presence messed up his schedule. Dr. Harrison is the absolute best dentist I have seen in my many years on this planet. Dentist and hygienist recognized that I have a unique condition. This is the FIRST time anyone had ever noticed (or mentioned) to me. However, once I got home and had the opportunity to look up more information -- I was so stunned that it had not come up before! Learning about the condition has explained some odd things that have cropped up over the years. The condition may offer an explanation for the gingivitis diagnosis and tissue grafts I underwent in high school. If the condition ever worsens, I now know where to seek help and what can be done about it. Thank you. Dr. Bill is the best dentist I have visited to date. I was in no discomfort during the procedure, and felt very at ease. He thoroughly explained the procedure and multiple times asked if I had questions. Additionally, he did not make me feel that I had doomed myself by not seeing the dentist sooner--rather, he took care of my teeth without making me feel bad. He is the reason that I chose to return to Park Dental. I would recommend Dr. Bill and Park Dental to absolutely anyone. The doctor and the woman who cleaned my teeth were top notch. I was presently surprised to see that the set up was very similar to what I had experienced in my home town, years ago. he introduced himself by first name (I think Bill?). he was incredibly kind and thoughtful in engaging with me, showed intentional care through consistent eye contact and authentic evaluation of my health. he was very sincere and so kind. very thankful to have him! I think Dr. Harrison is a wonderful dentist: kind, compassionate, caring and just downright nice. Always interested in you as a person. Makes you feel very relaxed and at ease. Dr. Harrison is a great dentist. I have terrible anxiety when it comes to dental procedures - even cleaning. 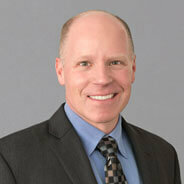 Dr. Harrison is very professional, compassionate, and ensures my treatment is comfortable. The dentist didn't spend much time with me (~2 min), but I haven't had any issues so I wouldn't expect him to. Dr. Harrison is always concern and shows great helpfulness to me. All the employees seem to be a very helpful group and willing to talk or explain things if needed. The crown is much better than my temporary filling but more care could have bee n taken in regards to fitting the crown. My new crown sits too high and the rest of my teeth do not contact due to the incorrect crown fitting. It's great - I have a medical background and we could really talk about what was going on. Dr. William Harrison is the best dentist I've ever had. That's not hyperbole. I honestly enjoy going to the dentist because of him and his staff. Dr. Harrison is very easy to talk to and knowledgeable. We are extremely comfortable with him. I appreciated Dr. Harrison calling me the morning after my implant surgery to check to see how I was doing. I had a root canal. The doctor squeezed me in between other patients. I appreciated that they were able to answer alky questions in plain English. Dr. Harrison spent maybe 2 minutes with me after my cleaning was complete. He seemed very busy, and although it was my first time in, he didn't talk through anything with me in terms of my overall dental health or my xrays. I don't have a big issue with this because I don't have any current dental concerns, but I was expecting at least a general discussion about my dental history and current oral health. There is always concern when there is a problem but the staff are very efficient and willing to work with me. If there was an option for off the charts exceeding my hopes, I would have chosen that. The dentist and the assistant(s) were the best I've ever seen. Good overall, but I wished I was better informed of exactly what was needed in terms of my cleaning. Being told that I needed a "Deep cleaning" on four separate operations was quite the shock. I understand that the dental office staff are pretty used to terms and procedure but taking more time to be sensitive to a client's understanding could be a great improvement. I felt rushed and didn't have time for questions or an explanation. I didn't need any options of treatment explained to me. I liked the blood pressure reading. Little added value items like that go a long way. I did not have any questions or concerns regarding my dental health.